Truck mounted concrete pump is a kind of concrete pump with the founction of driving. Compared with trailer concrete pumps, they have the same pumping syatem working principle and the different simple structure. According to whether chassiss power shares, the truck mounted concrete pumps can be divided into power sharing type and power not sharing type. No matter what type it is, the pump commonly contains: chassis, dynamical system, water cleaning system, cooling system, hydraulic system, supporting system, electrical system, lubricating system and pumping system. We have many types of truck mounted concrete pumps for sale: HBCS80, HBCS90. 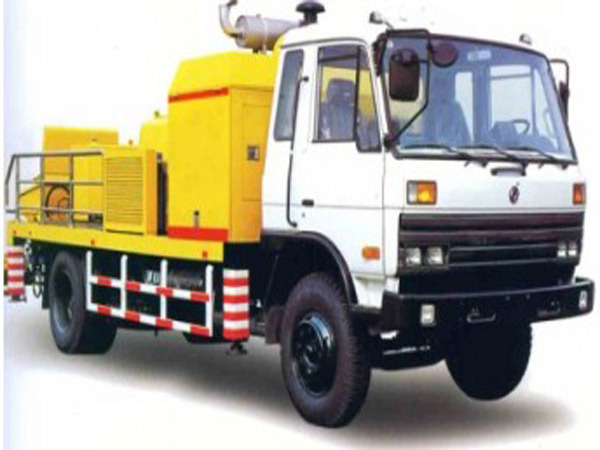 The chassis of truck mounted line pump is mostly refitted by common truck chassis. The chassis of power not sharing type pump is mainly used for load and driving. Small power can satisfy its driving function. There is no need to refit rotation part. While, the chassis of power sharing type pump is capable of driving and providing dynamic. Therefore, with the same specification pumping system, the chassis needs large power. Also, you should add transfer case and power takeoff for rotation part. 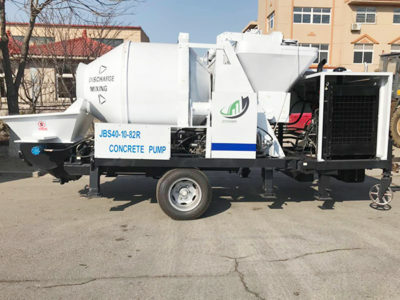 The concrete mixer with pump is one of our hot productss for sale. Each buyer of truck mounted concrete boom pump want to have a kind of machine, which not only should have high quality, long pumping distance, but also long service life. Our truck mounted concrete pump is just like that. Meanwhile, our company has many advantages among many truck mounted concrete pump manufacturers and small concrete mixer manufacturers. Our company has established for many years. We have played a leading role in concrete pump and concrete mixer industry. Since our company established, we have began to adhere to the principle: “ credit is the basis, quality is the first.” So, whatever the market changes, we still have a long-lasting market. Our machine has won trust from many customers. They all think we are a good manufacture. Concerning truck mounted concrete pump for sale and mobile concrete batch plant for sale, they all speak highly of them. A good brand image also brings us more and more customers. We have many professional engineers and responsible service staffs. Our professional engineers devote their all passion to researching technology and innovation. The engineers always study advanced technology of abroad. Their consistent efforts make our technology more mature and advanced. The product quality of our company is first class. The pan type concrete mixer and truck mounted pump for sale of company all have attractive appearance and practical internal. We have special service staffs who can provide you the perfect after-sales service. If you have any problems after buying concrete pumps and diesel cement mixers, you will get the help as soon as possible. As one of truck mounted concrete pump manufacturers and suppliers, we not only can give you good quality but also reasonable price. The price of truck mounted pump is your concerned aspect. We set the price according to the market and our cost. You can compare the price with the machine of same quality. 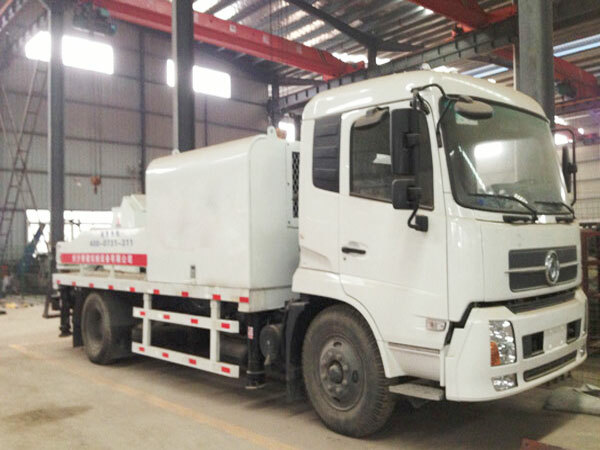 Then, you will find the truck mounted concrete pump price of our company is reasonable and cost-effective. 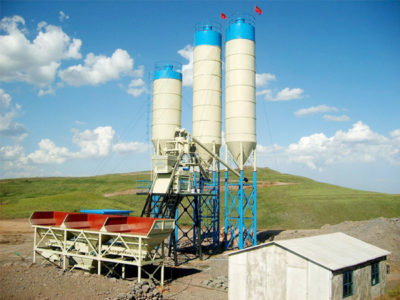 You will find that our concrete pumps and stationary concrete batching plants are worthy of buying among manufacturers. 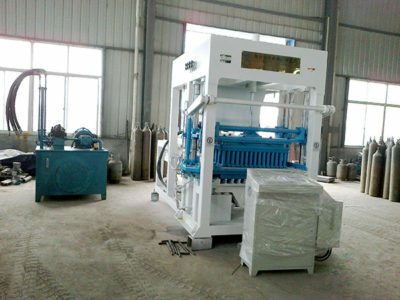 If you are interested in our machines, contact us!